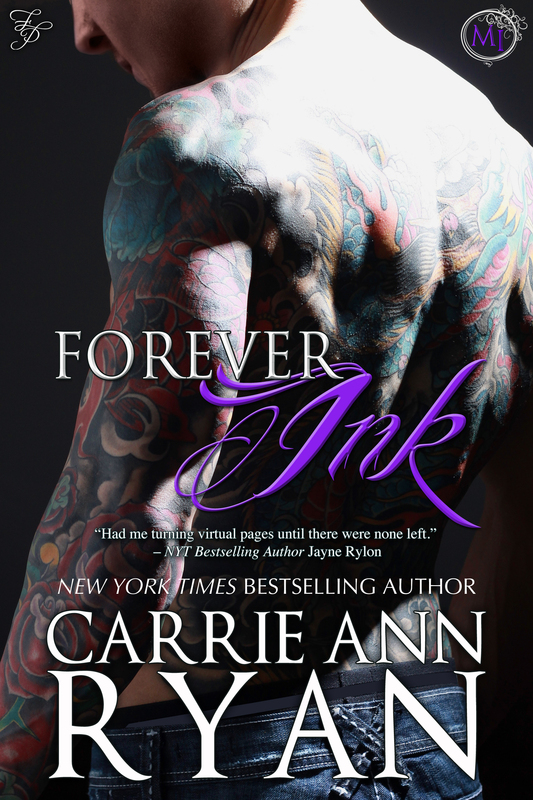 Don’t miss grabbing FOREVER INK by Carrie Ann Ryan for just .99c! A Tempting Montgomery Ink Novella. A Silver Fox and a Younger Tattoo Artist. Watch the Sparks Fly. Callie Masters loves ink. After finally getting her own chair in Montgomery Ink, she’s ready to start being a full time artist, rather than only an apprentice. When Austin, her former boss, gives her one very broody man as her first client, she jumps at the chance to make him hers—in and out of the shop. Morgan McAllister is old money, old connections, and recently has been feeling just old. When he goes in to get his full back piece done after years of putting it off, the bright-eyed woman with the sly smile catches his eye. Between her age, attitude, and views on life, he knows she’s all wrong for him, but that doesn’t mean she’ll keep out of his thoughts. When life throws them together after a few close calls, Morgan and Callie will have to trust in themselves and what their relationship will mean. Between conniving family members, blondes with too much time on their hands, and their own misgivings, trust in the bedroom and out of it won’t come easy. FOREVER INK is on sale now for just .99c! The next book in the Montgomery Ink series, INK EXPOSED, releases November 29th! Make sure to preorder your copy now. INK EXPOSED releases November 29th – preorder now!